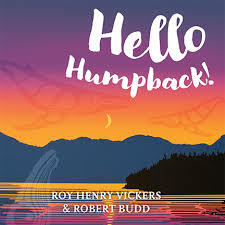 Explore the natural world of the Pacific Northwest and greet the animals that call it home, in authors Roy Henry Vicker and Robert Budd’s board book, Hello Humpback! Ballad style stanzas use a repeating pattern that creates a peacefulness which is reflected in Vickers’ unique illustrations. Each stanza begins with a greeting: “Hello Salmon, Hello Humpback, Hello Otter”; this invitation encourages readers to continue to discover the beauty of the Pacific Northwest. Illustrator Roy Henry Vickers’ artistic style is grounded in his ties to the First Nation tribes of the West Coast, and can be seen with his merging of traditional elements with a vibrant color pallet to create his signature prints. The style add depth to the simple verses and capture the tranquility present in nature. Pastel tones, like the purple and yellow of the sky behind the bear, fish bones, trees in the second picture, softens the realities of the natural world, and allow the glossy raised details to pop off the page. Text and select images in the illustrations are set in relief encouraging fingers to explore each page and creating an appealing visual contrast. An expressive ode to nature’s beauty and serenity and a must share for sweet dreams. Posted by Elizabeth M. on January 3, 2019. 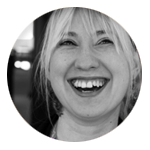 Read more reviews by Elizabeth M.